Tabloid Tshirts: Tabloid T-Shirts Are On The Air! Tabloid T-Shirts Are On The Air! Actually, we were only "on the air" for about ten minutes. 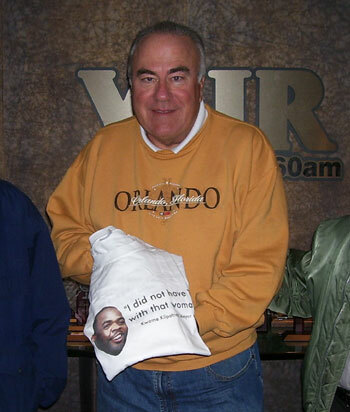 Frank Beckmann from WJR 760AM was nice enough to let us talk about our silly website on his morning show.